“I’m terrified of what’s going to happen,” said Jennifer Webb, whose family may lose coverage soon. LEWISTON, Maine — Louis Bourgoin seems an unlikely symbol of the latest battle over health care spending. The 68-year-old retired shipyard worker is undergoing chemotherapy for liver cancer. He lives in a state once renowned for its efforts to insure the poor, and Mainers stood to benefit even more under President Obama’s health care plan. Then the letter from the administration of Governor Paul LePage arrived. Bourgoin and his wife were told last month they were about to lose thousands of dollars in annual Medicaid benefits starting in March. By the end of the year, more than 44,000 Mainers — seniors, the disabled, parents, and childless adults — will be dropped from the government-subsidized health insurance program. 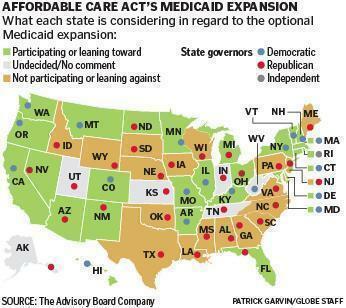 They represent roughly 13 percent of the state’s Medicaid population, and include the very group that national health reform sought to insure through the Medicaid expansion the Supreme Court has deemed optional. LePage, meanwhile, seems an unlikely politician to wield such power. The oldest son of 18 children, he ran away from home at age 11, lived on the streets of this once-thriving mill town, and eventually was elected as a Tea Party-backed candidate in 2010. Discuss: What do you think of the governor's decision? Now the paths of Bourgoin and LePage have crossed because the governor is among more than a dozen Republicans rejecting billions of federal dollars in Obamacare funding for Medicaid expansion. LePage is even going further, cutting benefits available before national health reform passed. The move would make Maine — one of 26 states to sue the Obama administration over the landmark health care law — the only state in New England to turn down federal money to expand Medicaid. By opting out, LePage is leaving more than $3 billion in federal funding on the table over a decade, money that could have gone toward insuring tens of thousands more of the state’s poorest adults. It is a decision born in the divisive presidential campaign and last year’s Supreme Court case, and fueled by political philosophy, a counterintuitive maneuver that flies in the face of the more familiar pattern — politicians jockeying to bring home as much federal money as they can to their state. Other Republican governors are weighing whether to stick with party rhetoric or look past their disdain for President Obama’s health care overhaul and accept federal money to help insure their states’ neediest residents. Of the country’s 30 Republican governors, seven recently decided to take the money, 5 are mulling it over, and 18, including LePage, have said no or are leaning that way. All the Democratic governors have decided to expand or are considering expansion. LePage has likened Medicaid to welfare and criticized able-bodied adults who receive taxpayer funded health care. His spokeswoman said he would not be interviewed. But LePage has defended his decision. In a Jan. 28 letter to the US Department of Health and Human Services, he argued that Maine’s previous Medicaid expansion prompted people to “drop their private insurance in favor of free coverage at the expense of Maine taxpayers,” leading to an “addictive-like dependence on federal dollars.” The state’s credit outlook was downgraded recently in part because of the added burden of its Medicaid costs. The Bourgoins are among more than 20,000 Mainers the state recently notified of next week’s Medicaid cuts. They are being dropped because LePage has lowered the Medicaid income threshold and deemed them to be no longer poor enough to qualify. By the end of 2013, another 24,500 adults near the poverty line will be dropped from the rolls. “People don’t wake up and choose to be poor. 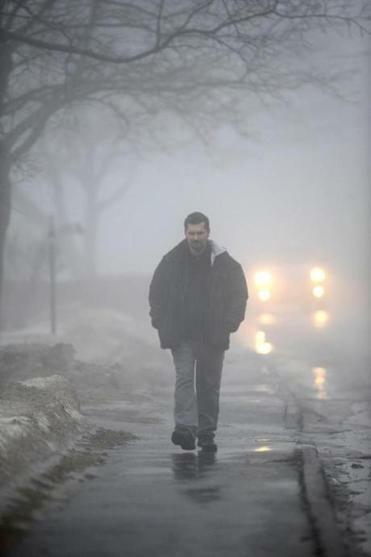 You work to try to get ahead, and you can’t,” said Ramon Badillo Perez, who relies on Medicaid for the knee and foot problems he has developed from his 2-mile walk to work each day. Seven Republican governors who once railed against Obamacare surprised fellow conservatives by saying recently they now intend to expand Medicaid, citing the needs of their states’ uninsured population, the money saved by taking federal dollars, and the increased health care jobs. Florida Governor Rick Scott, a former hospital executive and one of health reform’s most vocal critics whose state lead the Supreme Court battle against the Obama law, announced Wednesday he was bucking Republican orthodoxy and accepting federal dollars to cover the entire cost of the expansion for three years. Ohio Governor John Kasich and Michigan Governor Rick Snyder said earlier this month that they, too, would expand Medicaid to cover adults up to 138 percent of the federal poverty line, as long as the federal government kept its end of the bargain. The governors of Arizona, Nevada, New Mexico, and North Dakota also plan to expand. Medicaid is a public health insurance program for more than 60 million low-income Americans and those with disabilities. The program is run by states, which split the costs with the federal government. It encompasses the third largest domestic program in the federal budget, after Social Security and Medicare, and accounts for 8 percent of the budget. In Maine, 27 percent of residents are enrolled in Medicaid compared with the national average of 20 percent. The Maine figure is high partly because Maine is a poor state — with a median household income under $48,000 — dominated by low-wage industries of tourism, fishing, and lumber. For a decade, Maine has been one of the few states that cover childless adults with incomes below the poverty line. But that provision will end in January 2014. If LePage had chosen to expand Medicaid, Maine would reduce its Medicaid costs by 3.8 percent, or nearly half a billion dollars over a decade, because the federal government would pick up most of the costs, according to an analysis by the Urban Institute for the Kaiser Commission on Medicaid and the Uninsured. But LePage has said Maine would still bear too much of the cost. Mary Mayhew, LePage’s commissioner for health and human services, said in an interview that even with increased federal aid, the state cannot afford to continue supporting its current Medicaid program. Maine’s Medicaid program has struggled with financial shortfalls for at least a decade, said Mayhew, citing $450 million owed to hospitals and long waiting lists for Mainers with intellectual and developmental disabilities seeking coverage. “The state of Maine’s Medicaid program cannot be the only answer to addressing Maine’s uninsured challenge,” she said. Mayhew estimated that the state will save $12 million a year by reducing Medicaid benefits to parents, seniors, and the disabled beginning March. It will save another $11 million a year by cutting childless adults at the end of 2013. Together, the cuts represent about a 3 percent savings in the state’s Medicaid tab. Indeed, LePage had originally proposed more cuts, including dropping coverage for 19- and 20-year-olds and decreasing the income threshold for parents, but the Obama administration in January only signed off on the cuts to higher-income parents and reduced benefits for the elderly and disabled. The newly elected Democratic majority in the Maine Legislature is also scrambling to craft an alternate budget plan and push for Medicaid expansion, but they do not have the numbers to override a LePage veto. Critics said LePage’s policy hurts the most vulnerable Mainers. “We’re using stereotypes, rhetoric, and ideology to create public policy and that’s always easier and resonates more than looking at the facts,” said Sara Gagné-Holmes, executive director of Maine Equal Justice Partners, a nonprofit that provides legal aide and advocacy for the poor. In an effort to block the cuts, the organization, on behalf of the Bourgoins and others, filed a lawsuit this week against the Obama administration for signing off on LePage’s policy. But LePage does have the backing of a number of constituents as well as conservative groups. William Gyorfi, a 65-year-old regular at the Governor’s Diner in Lewiston, supports LePage’s decision to cut back the Medicaid rolls. People need to take more responsibility with their finances because Maine has too many people depending upon government handouts, he said. Some who would be most directly affected by the changes rejected suggestions that they don’t deserve the benefits. 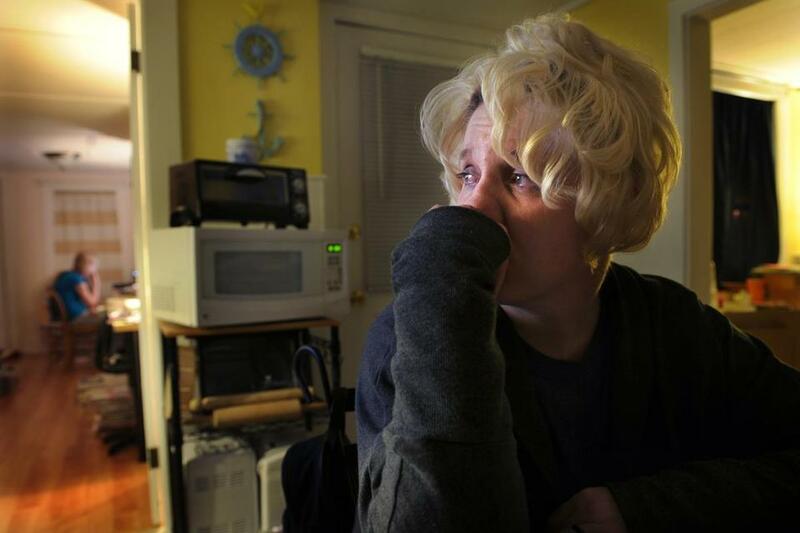 Donna Garnett, a 45-year-old living in a Portland shelter for homeless women, is among 10,000 adults without dependent children who are scheduled to be dropped next year. Her last job was as a gas station attendant in 2007, but she can no longer work because of a slew of health problems that require her to take 18 medications each day. 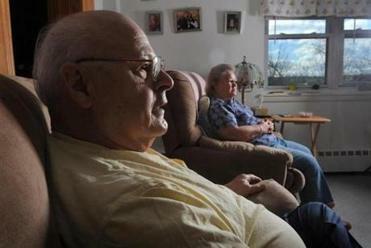 Louis and Katherine Bourgoin of Lewiston, Maine are a retired couple losing their Medicaid coverage in March. Garnett lives off $227 a month from her father’s life insurance. Her medications cost her $30 a month, but without Medicaid, the price will skyrocket to more than $815 a month for pills to control her asthma, diabetes, thyroid, back pain, and depression. Jennifer Webb, a 35-year-old mother of three who is at risk of losing her Medicaid benefits in March, just had ankle surgery and will need physical therapy when she is able to walk again in four weeks. By then, she does not expect to have coverage. Her husband, a former Army sergeant, has traumatic brain injury and post-traumatic stress disorder as a result of two tours in Iraq. He had a job installing metal roofing in hopes of building enough savings to buy the home in Pittston the family is now renting, but he was laid off last week. She said she understands the Tea Party’s emphasis on self-reliance. The other day, a telemarketer for a private insurance company called. When Webb explained her family’s financial circumstances and asked about the cost of various plans, the saleswoman hung up.